At a raucous campaign rally in Grand Rapids, Mich. — his first since Attorney General William Barr reported that the president would not be prosecuted for obstruction of justice and that Special Counsel Robert Mueller had not established the existence of a conspiracy between the 2016 Trump campaign and Russian operatives — Trump listed them by name and occupation. In this moment, as he tries to turn the corner from two years of a special counsel investigation toward eighteen months or so of campaigning for re-election, Trump is using Barr's four-page letter to portray himself and his supporters as the victims of a conspiracy of left-wing "deep state" elitists bent on defeating their movement at any cost to the country. "The problem here is that even if the president has legitimate gripes on one or more of those things, his overly-aggressive commentary is doing nothing but exacerbating the situation," Moss said in a text message. "There were real and legitimate red flags that justified the investigation. Lawmakers had real and legitimate bases for viewing the existing evidence as reflecting collusion." The contents of Mueller's full report remain a mystery not only to the public but to the lawmakers who oversee the Justice Department. Yet even Barr's brief summary acknowledged what Trump has been so unwilling to admit himself: that Russia tried to help him with the presidency. "President [Vladimir] Putin says it's not Russia," Trump said as he stood next to the Russian leader at a press conference following their Helsinki summit last summer. "I don't see any reason why it would be." 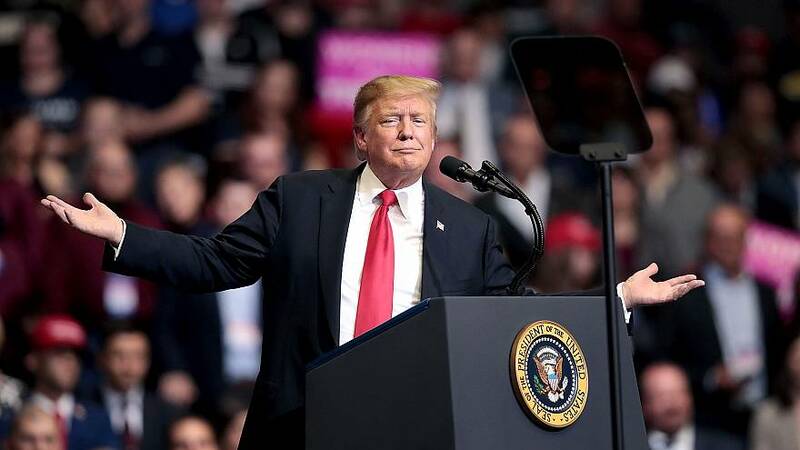 On Thursday, night, much of his rhetoric was aimed at re-living that win and painting the Barr letter as a validation. "Our separation of powers requires congressional checks on the presidency," Wehle said in an exchange of texts with NBC. "It's what ultimately protects the rights of individuals against an overbearing government. It's sad that this is not our uniform message." Rudy Giuliani, one of Trump's lawyers, told The Atlantic that the president is intent on investigatingpeople involved in launching the Russia probe now that the special counsel's work is done.